A great adventure for first timers and experienced SUP paddlers alike. The welcoming clear water of the lake makes for an amazing journey. This trip is water-taxi supported, so no matter what the weather is like, you will be surrounded by the stunning scenery of Lake Wanaka. Join us and discover your new favourite place! 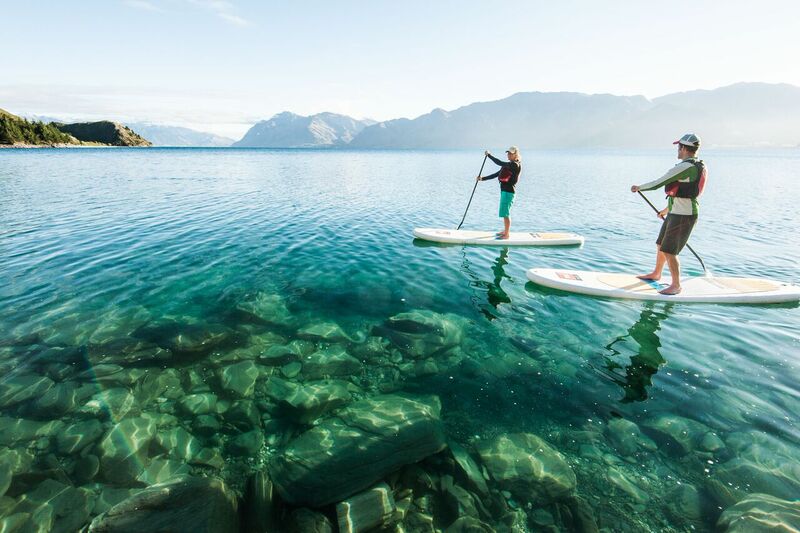 A SUP paddle for the explorers! No experience necessary! A fully guided tour with all equipment provided. We run trips in small groups so we can tailor to suit your skill levels. If you’re a beginner we’ll cover all the basics on what you need to know to be proficient in the SUP. If you are already a proficient SUP paddler, we will adapt to enhance your skills. 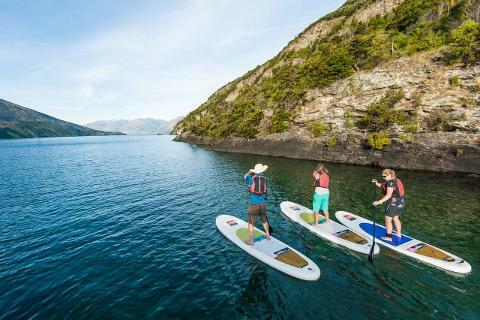 With our SUP lake trip, we tailor both the location and the route to suit your interests and abilities. 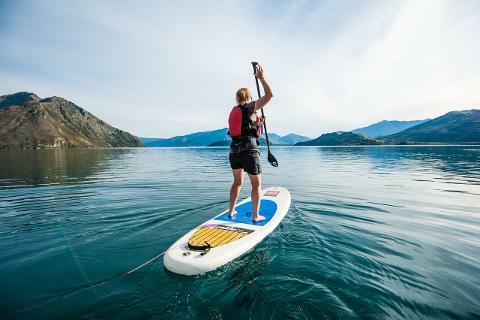 This is your chance to SUP explore Lake Wanaka away from the busy crowds!